Fat vs thin - is it worth upgrading your old hardware? With electricity prices continuing to rise, the question of whether it is worth replacing older, power-hungry hardware with shiny, brand-new energy efficient tech is one definitely worth considering. Here at the Fenestra offices we've done a few tests with an older, 'fatter' PC/monitor combo as well as a more lightweight duo to make a start in finding out if its worth upgrading. In the red corner we have our heavyweight Dell Dimension paired up with a thick touchscreen monitor. 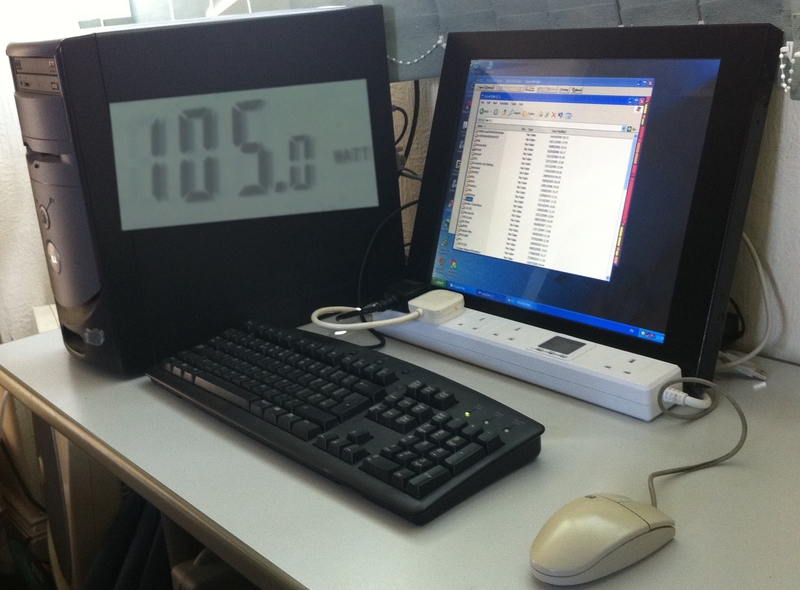 As you can see, when up and running it was using 105 watts, (but this fluctuated between 90 and 120). 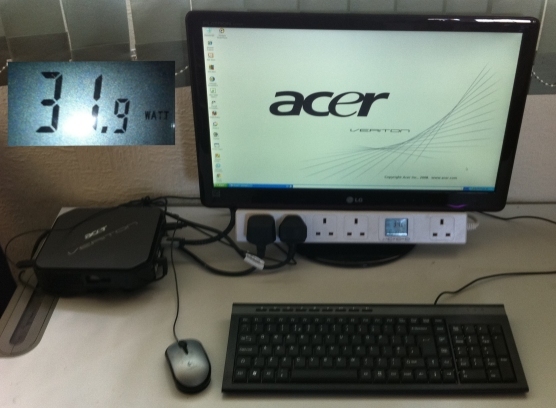 In the blue corner, our lightweight Acer Veriton with LG widescreen monitor. This combo resulted in a power usage of just 32 watts on average. At the time of writing, electricity in the UK costs roughly 13p/kWh. So for a small business, running 10 'fat' PC's for a year could cost you £1200, compared to just £365 for the thin combination. Our 'thin' bundle cost around £300, so the 10 upgrades would pay for themselves in less than 4 years (a worthy investment unless you plan on going bust anytime soon). In the not-unlikely event of prices rising to 14p/kWh in the future, it would take closer to 3 years. Note: The increasing popularity and sophistication of tablet PC's (clearly even more efficient than our lightweight combo) means that using them in conjuction with virtual machines could be an even more effective solution - find out more about this possibility here.